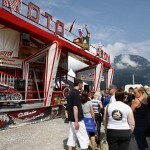 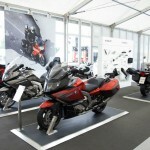 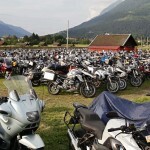 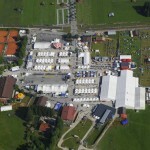 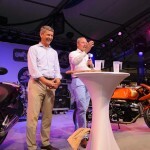 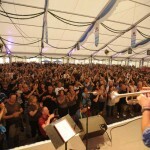 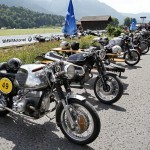 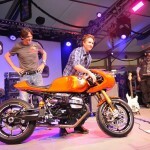 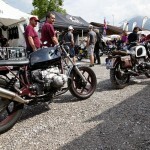 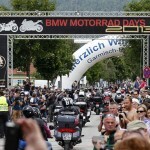 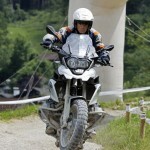 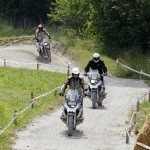 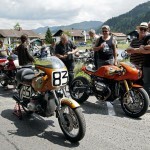 More than 40,000 Beemerphiles made their way to Garmisch-Partenkirchen, Germany, for BMW Motorrad Days on July 5-7. 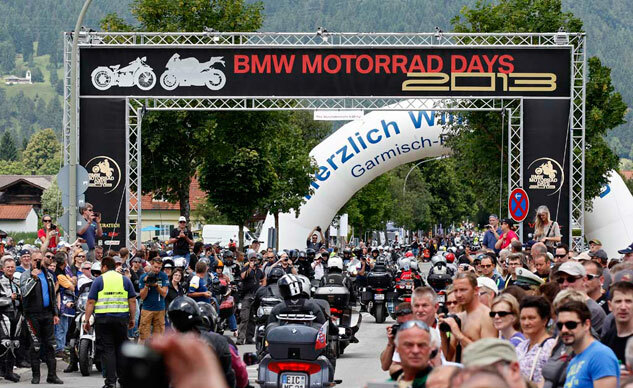 The 13th annual event at the Bavarian resort town saw visitors from more than 40 countries join together to celebrate BMW motorcycles. 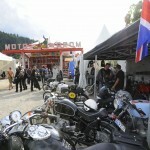 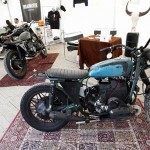 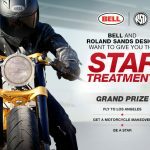 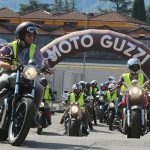 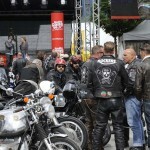 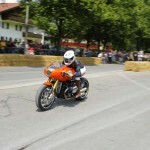 This year’s event was particularly notable for the 90th anniversary of motorcycles bearing the Bavarian Motor Works brand. 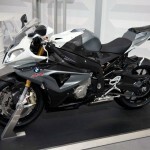 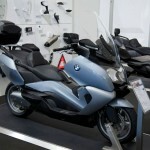 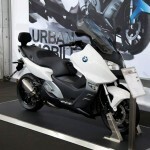 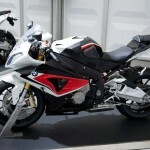 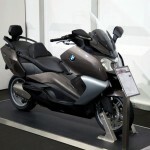 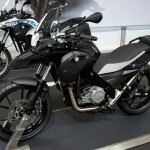 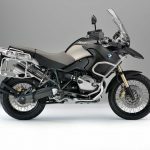 BMW used the occasion to unveil a new book, “90 Years of BMW Motorrad”, at the event. 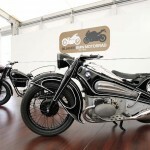 Visitors also saw a number of historic models including the 1923 BMW R32 that started it all, as well as several prototypes and the Roland Sands designed BMW Concept 90. 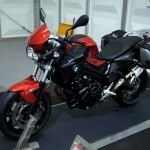 Of course, BMW’s current lineup was also on display, with the new 2014 color options revealed for the first time during the event (look for more on those soon). 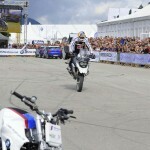 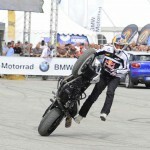 As usual, BMW Motorrad Days featured a stunt riding show featuring four-time World Champion Chris Pfeiffer who performed his act on his usual F800R as well as the new 2013 R1200GS. 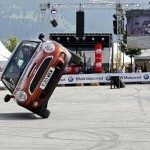 Pfeiffer was joined by British stunt driver Russ Swift in a Mini, doing his best to turn the car into another two-wheeled vehicle. 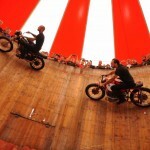 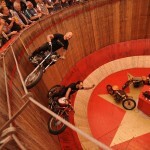 Making its first appearance at BMW Motorrad Days was the Original Motodome, the world’s oldest Wall of Death motorcycle acrobatics act. 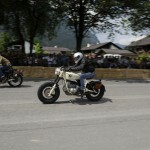 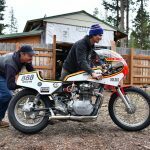 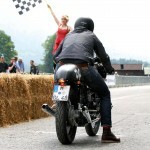 Another new addition to BMW Motorrad Days was the Classic Boxer Sprint, a 1/8th mile drag race competition with 32 entries, all riding flat-Twin Boxer motorcycles. 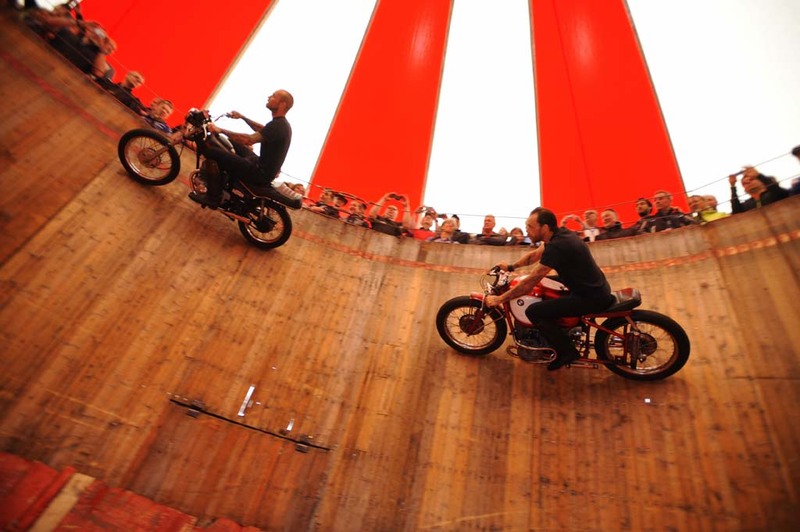 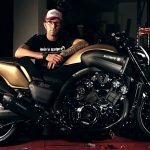 Other highlights include test rides for all models including the BMW C Evolution electric scooter prototype and appearances by racing stars Marco Melandri, Chaz Davies and Troy Corser and the world’s fastest female motorcyclist, five-time speed record holder Valerie Thompson.